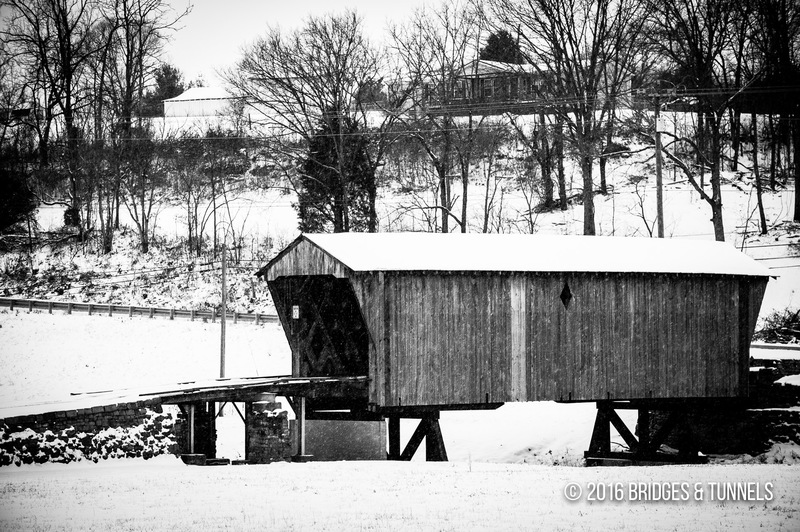 The Goddard Covered Bridge, also known as the Goddard White Bridge, is located over Sand Lick Creek in Goddard, Fleming County, Kentucky. 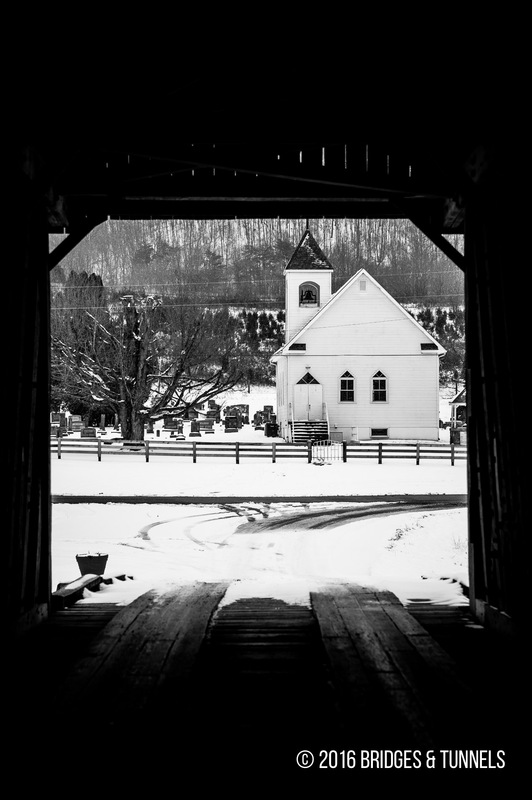 It features the only covered Town lattice truss in the state. Constructed by Joseph Goddard at an unknown time, its design was based off of the 1820 lattice design of Ithiel Town.1 It was originally located one mile south of Goddard and moved to its present location in 1933 when KY 32 was rebuilt. Because its original 63 feet span did not cross the creek entirely at the new site, a 32-foot approach was added. Exposed exterior wood was painted white, probably to blend in with the white church and fence to the east. Johnson, John. Goddard “White” Bridge. Washington: United States Department of the Interior, 1975. Print.